He has eschewed no grandiose visions for wealth creation, no elaborate plan to curtail the pennilessness, poverty and penury of the masses, except for a promise of sorts not add to their financial burdens. However, the few who labour to carry the cross of the many deprived, disfavoured and destitute, aren't exactly holding their collective breath. "To me it's a matter of wait and see," said Thomas Letang, the head of the country's largest organized labour group, the Public Service Union (PSU). 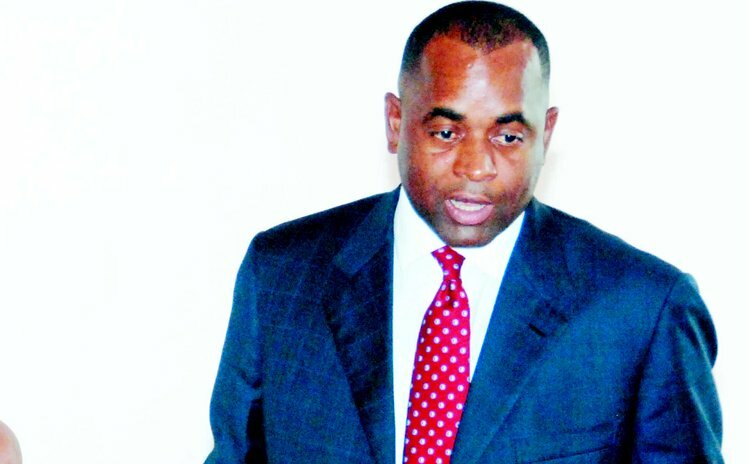 As the prime minster, Roosevelt Skerrit, prepares to tell the nation how much he intends to spend for the second half of 2013 up to the middle of next year, and how he intends to raise this money, the Dominican leader has indicated that there will be no new taxes. Still, not having seen any grand or lesser schemes to remake and rebuild the economy, Letang has adopted an attitude of healthy scepticism. "I would not be surprised if there is an increase – even if it's not across the board – I would not be surprised if there is an increase in taxes in certain areas," he told The Sun in a telephone interview. The PSU leader is not alone in his scepticism. Arthie Martin, who served briefly as the country's agriculture minister in the Rosie Douglas Dominica Labour Party (DLP) administration in early 2000, isn't convinced. Like Letang, Martin recognized that, in addition to the Value Added Tax (VAT), the government's revenues come largely from the PetroCaribe deal, as well as loans and grants. And, according to Martin, it is those who are mired in poverty and penury who will pay. "They are talking about no new taxes," Martin said in reference to the prime minister's promise, "but who is going to pay for the PetroCaribe loan? It's the people who have to pay it." Edison James, the leader of the opposition United Workers Party (UWP), isn't convinced either. James suggested that the hard times have dented and damaged the nation's mojo, leaving it gasping for air. "The economy is on life support and is stifling to death," he told The Sun. "There is an urgent need for money." The UWP leader stressed that he would not be "involved in giving any advice to Mr. Skerrit" on the upcoming budget, but he shared with The Sun, his party's vision for breathing life into the economy and giving the country its mojo back. The UWP, he said, would "recognize that there is very little to no spending power among the people." So it would focus on the productive sector, including construction, agriculture and communities. For example, James said, a UWP government would offer duty free concessions on building material in an effort to boost construction. "That would put money in circulation," he explained. He also suggested community enhancement programmes, including the building of retaining walls and drains to "enhance the community, making it more appropriate for use by the people," and the organisation of regional district reunion activities as a collaborative effort between the government and local communities. On agriculture, James proposed a booster programme "to put some money into that sector" and to stimulate production. He suggested a structured system in the marketplace to help stabilize the sector and ensure farmers get better prices for their products. "You're putting money in the hands of farmers," the UWP leader contended. On the vexing issue of the large number of non-Dominicans working on major projects here, James suggested enough is enough. "We need to renegotiate with the persons and organisations involved in (funding) the construction projects. Whether they are funded by loans or grants…there must be a higher percentage of Dominicans (working on these projects)." There is also the issue of the size of Skerrit's cabinet, along with the number of advisers employed by the prime minister. The UWP leader said it was time for a slimmer executive. "Any budget must have significant cutbacks in the number of ministers and advisers. We don't need 14 ministers plus advisers. Monies released from those areas (can) create jobs. So this is part of budgetary considerations." For the PSU's Thomas Letang, provisions in the budget for the agreed classification of public servants would be a welcome addition. However, like everyone else, the union boss doesn't have a clue what to expect, since, he said, there was no consultation. "It's really difficult (to have a sense) as to what might come up," he told The Sun. "Had there been consultation, if you had policies statements on (areas) of development, if you had a policy statement as far as agriculture is concerned, as far as manufacturing is concerned…that would have provided a guideline. There might not be anything significant to kick start the economy." Which leads back to the absence of an announced plan, grandiose or otherwise, to give a weary population it mojo back.